Space is closer than you think. British ESA astronaut Tim Peake invites you to take part in a new space race – stride, swim, spin the 400 km distance from Space to Earth. Try out fun physics, technology, mathematics and design activities linked to space and sport. Space to Earth Challenge is a programme of simple, measurable, accessible and achievable Triathlon-based activities for 10-15 year-olds linked with astronaut Tim Peake’s fitness training in preparation for, during and recovering from his Principia mission. The age group has been chosen to complement and extend the audience building upon the success of Mission X while avoiding the operational barriers of working with young people coming up to exams. Activities will span the distance from space to earth or use a shorter distance as a scaled-down measure of achievement. Activities will include running, walking, cycling, swimming or travelling -based movement and strength training. They will be programmed and adapted to run in parallel with the mission itself, reflecting the physiological challenges at each stage and designed with input from the Space Medicine Office staff in Cologne and with QinetiQ staff to provide a varied activity programme for all abilities, designed to retain interest. To find more Tim Peake-related projects, check out the Principia UK website. Odysseus II challenges European students to push the boundaries of their knowledge by discovering answers to fundamental questions on topics ranging from satellites and space probes to astrobiology and interplanetary travel. The ultimate aim to of the contest is to inspire young Europeans to get involved in space science. Aimed at 3 age groups - Skywalkers (age 7-13), Pioneers (14-18), Explorers (17-22) there are some fantastic prizes ranging from rocket kits, the latest iPads to computerised telescopes and even an all inclusive trip to the Guiana Space Centre! It is a really creative, open-ended competition that will link experts directly to you, based on the idea you want to follow, to help you develop your idea to the fullest. It can be based around any form of Space travel, Astrobiology, humans on Mars, Europe in space or simply the Solar System and Space Science. 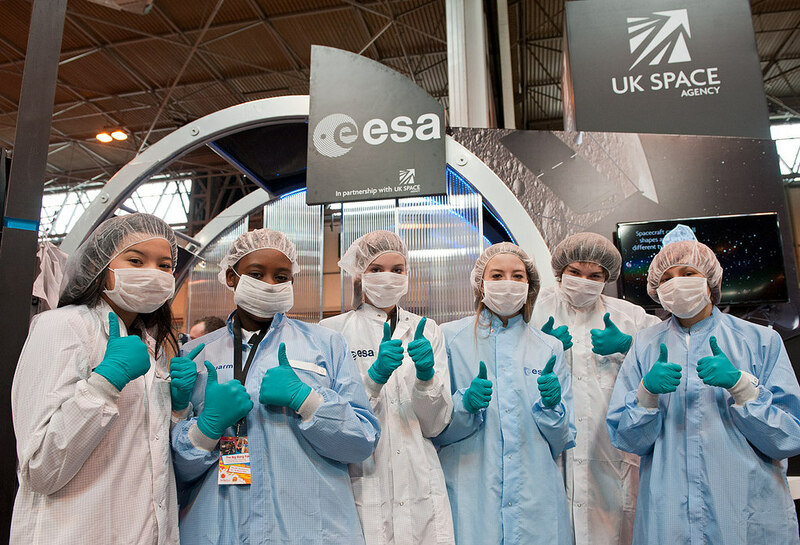 The ultimate aim of the contest is to inspire young Europeans to get involved in Space Science. See here for more information. Schools across the country are being invited to join the astronaut class of 2015. Mission X is a free fitness, nutrition and science programme led by NASA and supported by the UK Space Agency and ESA. Mission X is an international programme with schools from 29 countries worldwide that has Tim Peake as Mission X Ambassador. Participants learn principles of healthy eating and exercise, compete for points by finishing training modules, and get excited about the world's future in space and the educational possibilities for their own future. Students will practice scientific reasoning and teamwork while participating in hands-on training missions targeting strength, endurance, coordination, balance, spatial awareness, and more. Train Like an Astronaut mission activities include Base Station Walkback, Crew Strength Training, Do a Spacewalk and Space Roll and Roll. Educational science modules include Living Bones, Strong Bones, Hydration Station, Energy of an Astronaut, Reduced Gravity, Low Fat.